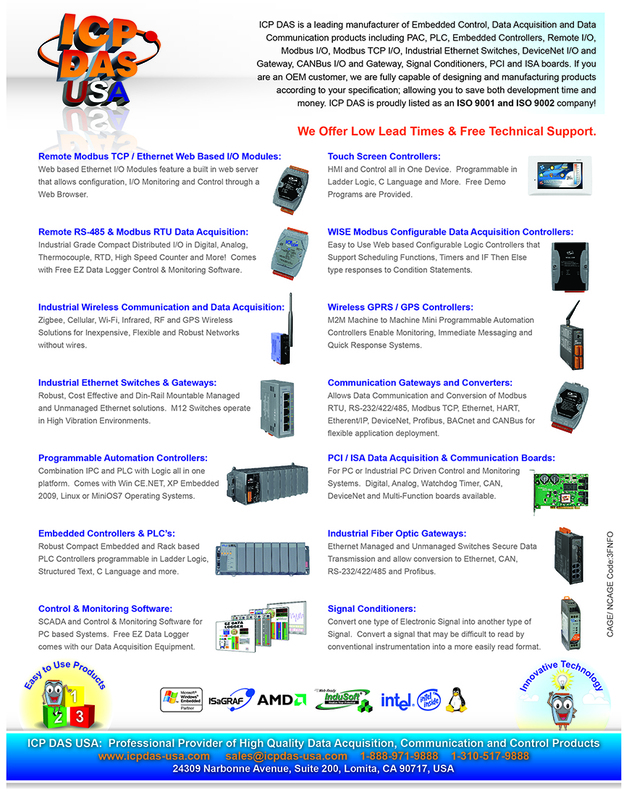 The IWS PAC series is a WinCE based InduSoft PAC of ICP DAS USA. These devices have a RISC-based CPU board, a rugged sized TFT LCD touch screen flat panel display well suited for a array of HMI applications. The front panel is NEMA 4/IP65 rated, which mean this device can withstand sprayed water, extreme dust, and humidity.